Arsenal face Huddersfield on Saturday afternoon, and Unai Emery will be hoping for more positive news on the injury front. The Gunners have dropped to sixth place in the Premier League table, as they’re now three points adrift of fourth place in the battle for Champions League qualification. Particularly with the return of the Europa League this month too, Emery will undoubtedly be eager to get as close to a fully fit squad as possible. As per the club’s injury bulletin on Thursday, it’s suggested that both Shkodran Mustafi and Henrikh Mkhitaryan will be available for the Huddersfield clash, as they have both resumed full training. However, doubts remain over Granit Xhaka and Ainsley Maitland-Niles due to groin and knee injuries respectively, and so it remains to be seen whether or not they get the green light from the medical staff over the next 48 hours. Meanwhile, Sokratis will be out for a little longer, as the bulletin adds that the Greek international won’t be back in full training until the end of the month. 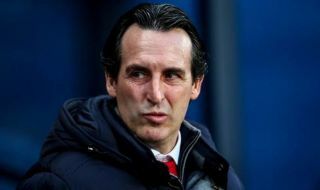 Emery will be desperate to get as many defensive options back as possible, given that Arsenal currently have the worst defensive record of the top eight sides in the Premier League. It has been an issue all season, and so Mustafi getting a clean bill of health will be a relief, but it remains to be seen whether or not Xhaka and Maitland-Niles can be in contention this weekend to offer their versatility if needed.